You are here: Home / Ask an Expert / Ask An Expert: How can we increase engagement on our social networks? This is a challenge that plagues businesses of all sizes, across all verticals. There are longstanding myths that social doesn’t work well for B2B companies, or that a company must be huge in order to attract enough social fans to see any sort of worthwhile engagement. Thankfully, both assumptions are false. A research report out this month shows that many of the top brands in social media are, in fact, B2B companies, including Honeywell International, Oracle, and Microsoft. Business to business networking is not reserved for LinkedIn; companies are finding success on Twitter, Facebook, Google+ and even Pinterest. Small businesses also have a fighting chance; one of the companies featured in a recent Facebook business success story was The English Cheesecake Company. This bakery used their Facebook Page as both a promotional tool and a customer service channel, increasing their fanbase from 2,000 to over 23,000 people. They were able to accomplish this through a creative content strategy that included content curation, which is the act of gathering, refining and adding your own insight to industry or product-related news and activity across the web. The English Cheesecake Company also used Facebook Sponsored Stories and other types of social ads to help expose their brand to new audiences. We’ve recently seen some great examples of integrated on and offline marketing, such as NASA’s recent social media event at their Washington headquarters. NASA invited their top social fans to an exclusive event where they had a behind-the-scenes look at their operations and even got to chat live with astronauts on the International Space Station. This is a prime example of a brand offering extra value to fans in order to convert them to brand advocates, who then help promote the company across social networks. Third-party tools often offer additional functions and features to help brands better connect with and engage fans. Experiment with different types of content, including written, video, visual and audio. In addition, work on your storytelling skills in order to appeal to fans with entertainment, rather than just information. All of these tactics help companies build a better and more engaging content mix. 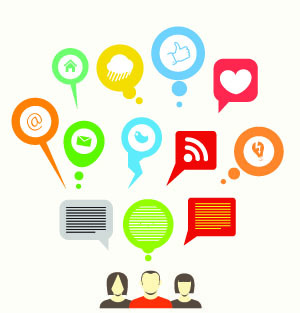 If you would like help taking your online marketing strategy to the next level with social, contact us to get started.